About Happy Birthday Sophie! Pop-Up Peekaboo! Join in the fun and celebrate Sophie's birthday with this beautiful peekaboo board book for babies and toddlers. 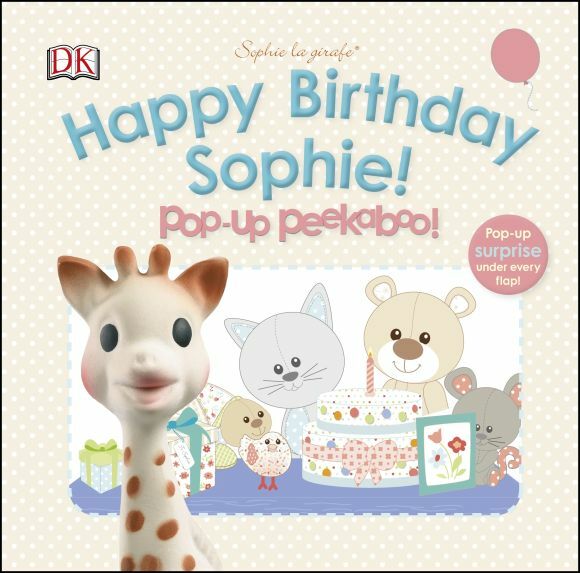 Sophie la girafe Pop-up Peekaboo Happy Birthday is ideal for fans who use the Sophie toy when teething and makes a great early learning toddler gift, especially for birthdays!